Insurers from Europe, Asia and the United States are among some 20 potential bidders in the sale by Turkey’s state-run Halkbank of its pension and insurance arms, three sources close to the process have said. 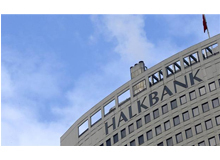 Halkbank said in July it planned to sell part or all of pension provider Halk Emeklilik and insurer Halk Sigorta through Turkey’s privatization office, but has yet to give details. “Talks were carried out with around 20 interested buyers. They will decide whether to participate in the sale process once the privatization document is out,” one of the sources said, speaking on condition of anonymity as the matter is not public. “Five of them are in the process of hiring an adviser already,” the source told Reuters. With a population of nearly 75 million whose average age is under 30, and an underpenetrated market, Turkey offers lucrative opportunities for global insurers, particularly given government initiatives to encourage saving through private pensions. European firms Ageas, Aviva and Zurich Insurance, Japan’s Meiji Yasuda, Nippon Life and Sompo Japan Insurance, Malaysia’s Khazanah and U.S.-listed ACE Group were among the interested parties, the sources said. Citi is advising Halkbank on the sale. Ageas, Aviva, Meiji Yasuda, Nippon Life, Sompo Japan, Zurich and Turkey’s privatisation office all declined to comment. ACE and Khazanah were not immediately available to comment. ACE, Ageas, Aviva, Khazanah, Sompo Japan and Zurich already have Turkish units. Halk Sigorta had a 2.17 percent share of the 18.99 billion lira ($8.41 billion) of premiums generated in the first nine months of the year, according to data from the Insurance Association of Turkey. Halk Emeklilik had a 0.79 percent share. Europe’s biggest insurer Allianz bought Turkish insurer Yapi Kredi Sigorta’s core insurance arm and a majority stake in its pension unit for 1.6 billion lira in March 2013. TEB-BNP Paribas analyst Fatih Topac said that deal was priced at 4.6 times book value and the multiple in theHalkbank deal would be at least as high. “For both companies in total we are looking at a price between 1.5-1.7 billion lira [$664-753 million],” he said.